Step 1 In a bowl, whisk together the oil, vinegar, parsley, thyme, pepper flakes, salt and several grinds of black pepper. Stir in the onion, basil, capers and garlic. Spread a little of the marinade on the bottom of a large baking dish. Top with a layer of tomatoes. Spread over a little more marinade, then another layer of tomatoes. Top with the remaining marinade, cover and refrigerate at least 3 hours before serving. The marinated tomatoes will keep up to 2 days. In Recipes-list.com we have selected the most viewed recipes from category - Best recipes Sandwiches . Enjoy the best recipes specially selected for you! 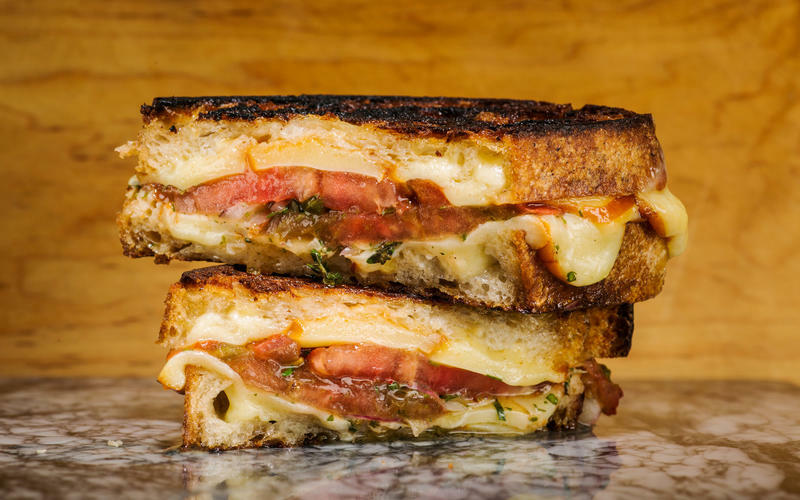 Grilled cheese with marinated tomatoes is the right choice that will satisfy all your claims.